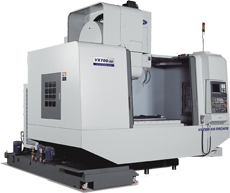 Coolant and chips were flushed into the rear of the machine for central chip collection. 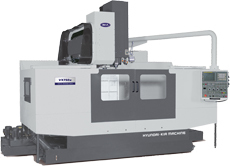 Coolant tank with variety options are attachable. 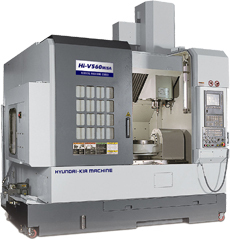 Hyundai-Kia Machine vertical machining center series accomplished super power heavy duty cutting with high accuracy, high rigidity and high precision, based on minimized heat distortion super precision spindle with angular contact ball bearing and rigid mechanism. 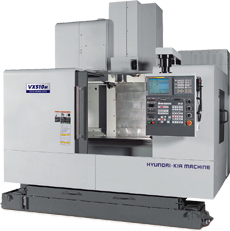 Hyundai-Kia Machine vertical machining center series could be born because traditions of long time machine builder, his Know-How and mixture of newly developed technology. 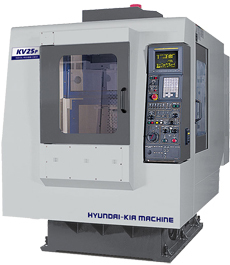 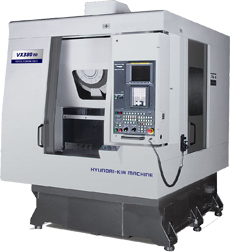 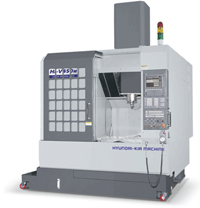 Hyundai-Kia Vertical Machining Center Series accomplished super power heavy duty cutting with high accuracy, high rigidity, and high precision performance, based on minimized heat distortion super precision spindle with angular contact ball bearing. 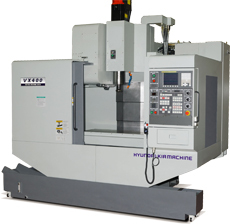 Vertical Machining Center Series could be born because traditions of long time machine builder, his Know-How and mixture of newly developed technology. 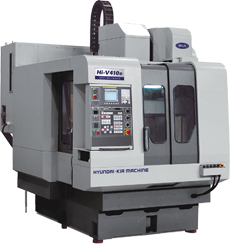 Hi-V50D Series are designed for the high productivity with the high precision, high speed, and precision accuracy. 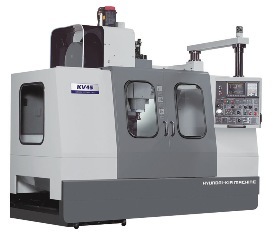 The moving column design with the integral 180° turning pallet table (dual table) allows operator load/unload or set-up work pieces on another pallet while machining on the other pallet for the high productivity. 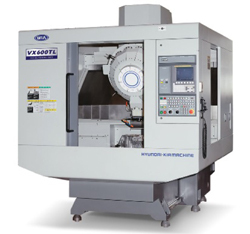 Application of pantograph mechanism (Y axis) slide cover with no noise during feed. 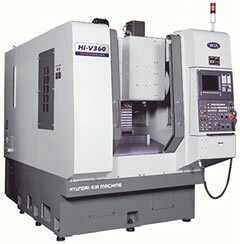 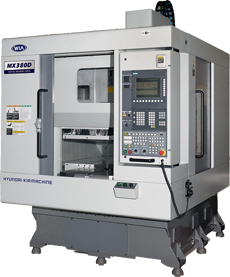 High precision Vertical Machining Center for the Heavy duty cutting, as well as the mold cutting with extremely minimized vibration from the spindle side with the high performance and rigid mechanism, and the powerful strong geared spindle head.